This is the post that I wanted to read back before I was pregnant. It's honest and vulnerable and accurate to my experience as a mom. I regularly receive emails from those who read my original post, Nine Reasons I'm Afraid to Have a Baby, asking me how I overcame my fears and how it all ended up. I'm eight months into this whole mom gig, and it's truly the best thing I've ever done. While everyone has their own experiences, here's what being a mom is really like for me, specifically in the areas where I was afraid. Okay, let's just be real. Yes, having a baby is a big change. There's no way you can be as "carefree" as you were before you were in charge of keeping a little human alive (we didn't even have pets!). There is a lot that goes into keeping a baby properly fed, clean, and rested. We can't just up and go somewhere, especially late at night, like we did before. But I honestly don't miss it much. I'm tired by 9:30 anyways, and being home with our little family is the greatest joy. That being said, our Eli is an amazing sleeper, so I do get some mama time during his naps, and he's in bed by 7:45 or so, which gives us a little free time at night. Eli's also great with babysitters, and since we're blessed to have family and friends in town, we usually have folks lining up to watch him. All that to say, yes, we have a big responsibility now, but he is a "responsibility" that can go places with us. It's not like he's not allowed in the places we frequent. We still go out to eat, still travel, still do the things that we liked to do before. We just do them a little earlier, and with little man in tow, or we do them when we have a sitter! We had four carefree married years together before baby, and they were wonderful, but our life now is even more joyful. I've truly gained so much more than anything I lost. Of course bringing a brand new baby into the world and figuring out how to care for him comes along with challenges. There are times of stress and feeling overwhelmed, especially now that I'm a working mom. But I've seen just how much of a sacrificial team player my husband Aaron is. 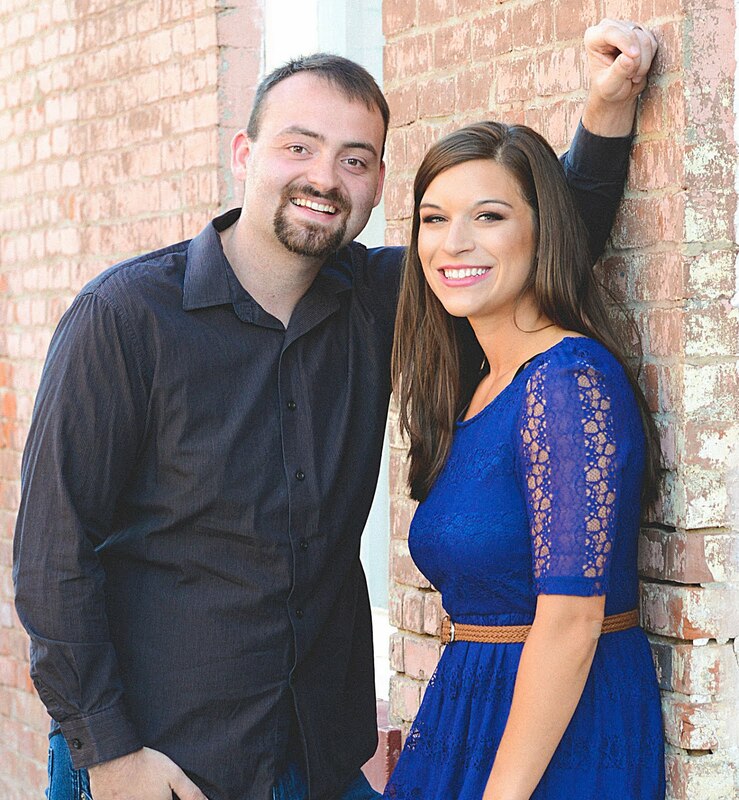 He has loved me so well in this season, supporting me as I trained for a half marathon, spilled out my heart about my emotions, and worked to figure out our new normal. I've really seen the strength of our friendship and our ability to divide and conquer. We've shared laughs even in the hard times, and I've felt my heart burst while watching my husband love on our son. I have stopped and looked him in the eye with a smile as we both marveled at the wonder of our baby. We may not have as much free time together just the two of us, without worrying about spit up or diapers or nap time, but we are both still fully committed to our marriage and to keeping our love alive. We go out together at least once a month, have had a baby-free overnight, and are taking our first baby-free vacation this summer. But even when when we are just home in the thick of our new normal, we don't love each any other less. Honestly, we love each other more. There is nothing like watching your incredible husband become an incredible Daddy. While there are new challenges, Aaron and I have given each other the best gift: a child that is a little piece of both of us, one that we adore. Together, we are enjoying our best adventure yet, even when it's demanding. I am happy to report that this fear of mine was nowhere near as bad as I expected it to be. I was an "I hate needles" kind of girl, but having a purpose behind anything that I had to go through made it SO much different. I honestly didn't have any issues along the way, and I would do it again in a heartbeat in order to have a sweet baby (but give me a few years before we have another). 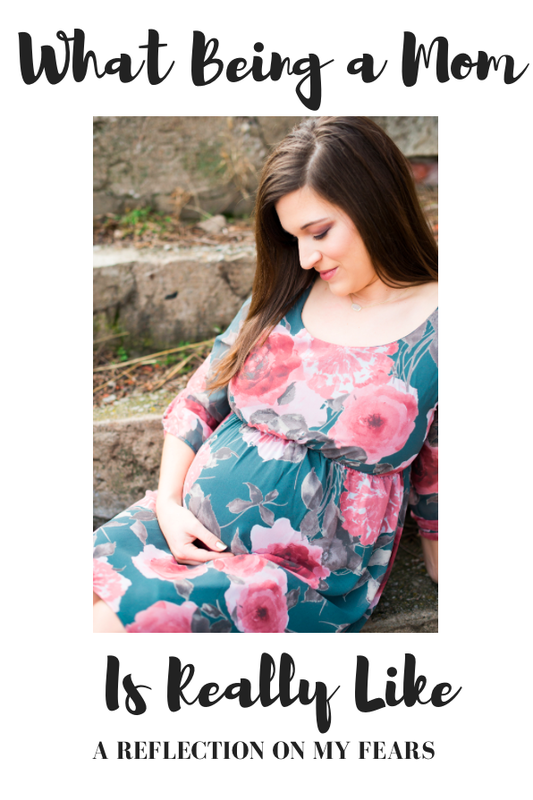 For more details on my labor and delivery experience, check out Eli's Birth Story. My identity really did shift. For a while, it was hard. I was no longer doing anything I had before: I couldn't work out, wasn't teaching, wasn't doing ministry, and basically couldn't do much else other than be a mom. But little by little, I saw my new identity as a "woman who is a mom" blossom. I am still me, still Kelsie. I still have things I like to do, and I've jumped back in to working out, teaching, and doing things without my baby. Being a mom is amazing, but it's not the only thing I am. I have to still make my faith, my husband, and my health a priority. It's good to have breaks and to take care of me, like I shared in my post on The Oxygen Mask Mentality. As far as my body, of course I gained some weight and saw my body grow along with my baby. But I actually lost all of my baby weight very very quickly. I walked with my newborn, and then jumped back in to working out at 9Rounds about two months after I had Eli. Then I also decided to train for my first half marathon, so I did a lot of running. All that to say, I actually am smaller now than I was before I got pregnant! And no stretch marks! Our involvement in YoungLife has been dramatically reduced, as many of the events are late at night and right in the middle of Eli's bed time. Since I'm a working mom, I have to really protect my weeknights these days, and putting Eli to bed is one of my favorite parts of my night. I just can't give that up every week, as part of my main ministry right now is taking care of my son and seeking to raise him up in the faith. That being said, we have still found ways to be involved here and there, on fall trips and through prayer and support. I have also seen the chance to be involved in ministering to other young women who are pregnant or brand new moms, and that has been pretty cool. There are seasons to all of this, and I know that God sees my heart in it all. 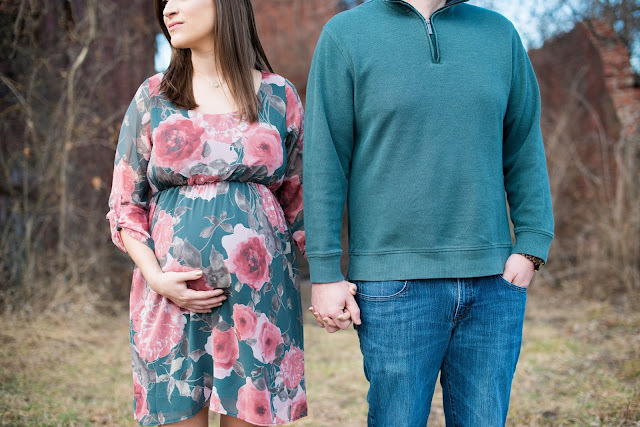 I know that this is not often the case for others, but we actually got pregnant the very first month that we tried! We went into it trusting God and full expecting it to take up to a year, but it seemed like the Lord was definitely ready for us to finally decide we were ready to be parents ha! Not everyone has this experience, including many of my own dear friends, and my heart goes out to those who have had trouble or are still struggling. I'm happy to note that having a baby has not stopped our travels! This summer we went to Seattle, the Florida Keys, and Colorado, all with a three month old! Eli was a champ on the flights and on the long car rides. While there was a lot more "stuff" to pack and bring along with us, we still traveled, and will continue to travel with our little one. And it was honestly even more fun with a little one along to see the ocean and mountains for the first time. We've done short trips to Lawrence and Des Moines, and we're already planning more adventures for next spring and summer. This was hard over the course of our pregnancy. We had some scares with follow up ultrasounds. I had to really work to conquer my pregnancy fears, but God was good through it all and we had a perfect baby boy without any issues. 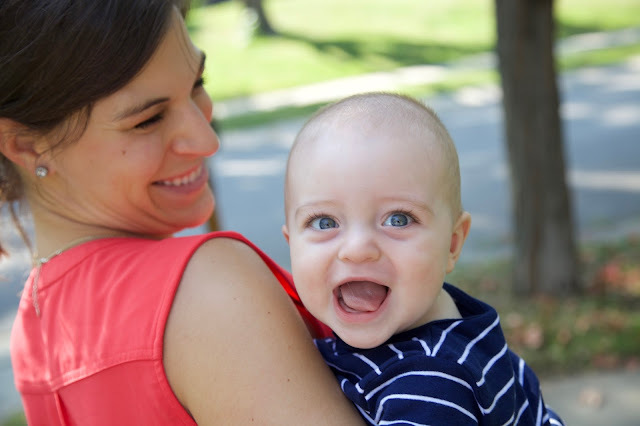 Of course he is only 8 months old, and the future is unknown, so there is always that chance that something can (and likely will) go wrong at some point along the way: disappointments, failures, health issues, and more. I can't spend my entire life worrying every second about what could go wrong with our child. Even if he's a piece of my heart walking around outside of my body. I am finding more and more that I just have to offer my son up to the Lord and trust that everything will happen in his perfect plan, just as it should. Of course this fear will also remain throughout the course of my son's life, but it is not a fear that could keep me from actually having kids. This world can be a hard, scary place, but I truly believe that one of my greatest contributions to this world will hopefully be raising up a child who can help make it better with kindness, love, and compassion for others. I know that it will be hard along the way, but Aaron and I are in this together, along with the support of our amazing friends, family, church family, and of course the Lord. We feel blessed and humbled by the chance to raise Eli up into a man of character and faith. To be honest, being a mom is challenging. It's the hardest thing I've ever done. It requires a lot of time and a lot of emotion goes into it. But it is undoubtedly the best thing ever, and I don't regret becoming a mom for one single second. Even when there are moments of frustration or feeling overwhelmed while just keeping up, there is SO much joy and I am so happy to be a mama. I just can't get enough of it, and it keeps getting better. I am learning so much, appreciating my parents so much more, and just soaking in every second with our little man- as they truly go by so quickly. It is 100% worth it and I am happy to talk more with anyone who wants to know more about my journey, or even who just wants someone to listen. Please feel free to message me on the Facebook page, contact me here, or comment below. I'd love to be there for you or pray for you! What is being a mom really like for you, Mamas? Follow along on Instagram for more fun photos of my mom life in action! Well thanks so much, Elise! When you become a parent, your life does change drastically. Everything you do has to be around the babies time/schedule. But it does get better as they get older. Definitely! And I can see how it would get easier as they are more flexible! I lovelovelove how open you and always have been! This was a great follow up to address the fears you had about being a mom and what it's like now that your lil' guy is here! Thanks lady!! It was a fun post to write. I love this post so much! I agree 110%! Our babies make everything worth it. It's so ironic how time goes by, they get older and you start to miss the things that once drove you crazy. Time truly does fly...and then they're 2 and you feel like they're going to college the next week. Sheesh! This was beautiful. For real!!! And thank you! I love this post! Labor and delivery wasn't nearly as bad as I imagined it before I got pregnant for sure. And we've really made travel work! I agree! Thanks so much, Nancy! A shift in ministry is a big one!!! Its amazing how a small person can change your ministry and how we feel about that. That is something nobody talked to me about before having kids. I wish we talked more about it. You are so welcome! I hope it helps- be sure to message me if you have more questions! Fear will exist in every stage of life, but it takes strength to CHOOSE joy!! Thank you for sharing your fears AND encouragement! !